St. Laurence’s has a long history and people have been worshipping God through music for over 1000 years. We believe that music is a vital part of worshipping. A robed choir of eight regular members lead worship at the 9:30 service at St. Laurence’s and at other ‘special’ services throughout the year. Rehearsals are on preceding Fridays, 6.00pm– 7:00pm. Groups of singers and instrumentalists alternate in leading the sung worship at the 11:05 Special services. 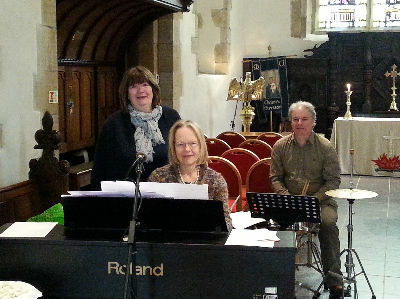 We are constantly seeking to add to our faithful group of musicians, especially with young people who wish to develop their skills in worship and who will eventually lead groups. If you have skills you wish to offer please click here to contact the church office. Practice times may vary to suit those taking part. 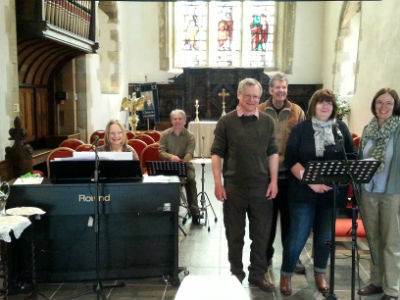 We are always looking at opportunities to include additional singers and musicians, especially to augment either Choir, on an occasional basis, or more regularly. For all enquiries regarding any of the music, the Robed Choir, or music for weddings and funerals, please click here to contact the church office.